Wolf Prize in Music – Sir Paul McCartney shares Hungarian conductor Ádám Fischer – 2018. On Monday the Wolf foundation announced its winners for 2018, with laureates also in the fields of chemistry, agriculture, mathematics and physics. Israel’s prestigious Wolf Prize is honoring Sir Paul McCartney this year as well as scientists from the U.S., Japan and Britain, among other countries. 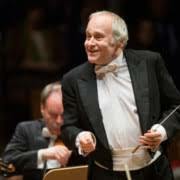 The Wolf Foundation, the nonprofit organization that presents the awards, recognized Fischer for his work as conductor of the Vienna State Opera, the Düsseldorf Symphony, the Danish National Chamber Orchestra, the Austro-Hungarian Haydn Orchestra and many others, as well as for his political activism. Fischer is a member of the Hungarian Helsinki Committee. Fischer is the second Hungarian musician to receive the prize after avant-garde composer György Ligeti. More than 30 awardees of the prize have gone on to receive the Nobel Prize. The Wolf Foundation was established in 1975 with a $10 million endowment from the Wolf family. While it is a private, non-profit NGO, its activities are overseen by the State Comptroller of Israel, and the culture minister acts as chairman of its council. The Wolf Prize has been given out annually since 1978 to laureates in the fields of agriculture, chemistry, mathematics, medicine, physics and arts.